Volunteers at Hope's Promise do more than give of their time and energy. 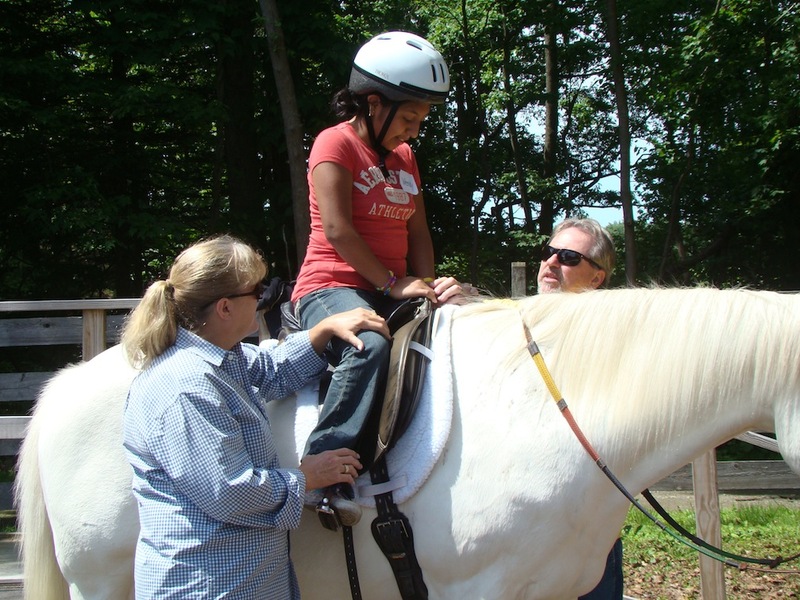 They change lives and help special individuals achieve dreams never before dreamed possible. They make lasting friendships and join a larger community of fun-loving, energetic individuals intent on making a difference. 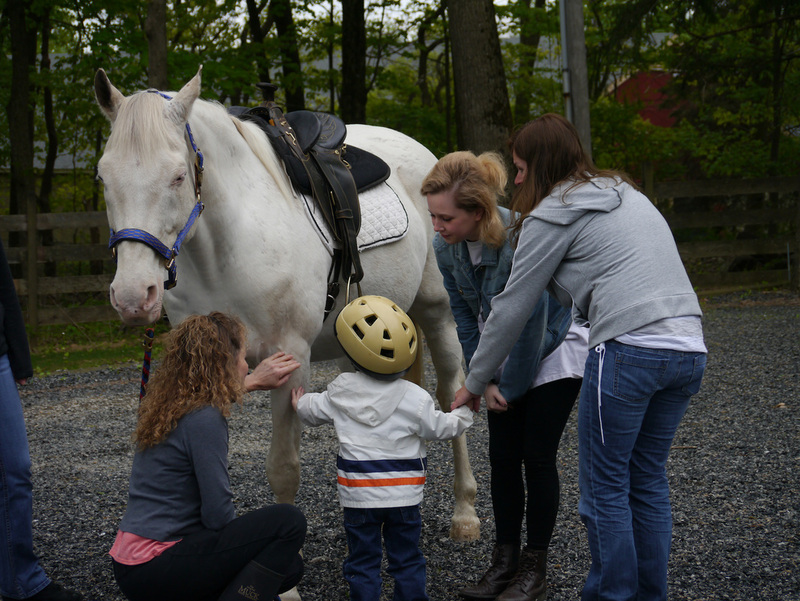 Volunteers assist riders during their weekly lessons, groom horses, help maintain the facility, assist with administrative tasks, and much, much more. If you are interested in contributing your talents to a great cause, we welcome you to join us! Authorization for Emergency Medical Treatment and signed Liability Release. 973.714.8410 or hopespromisefarm@gmail.com to inquire about the next orientation. 3. Make a weekly commitment for a minimum of one session (6 one-hour lessons). For additional questions about volunteer opportunties at Hope's Promise, please contact us at ﻿973.714.8410﻿ or hopesprom﻿isefa﻿rm@gmail.com. Each student not only has their instructor with them during their lesson, but they also have volunteer aides walking along with them in the ring – helping with support and encouragement. Aides are partnered up with a student and enjoy weekly lessons always with the same student. Volunteers must be 14 years or older. 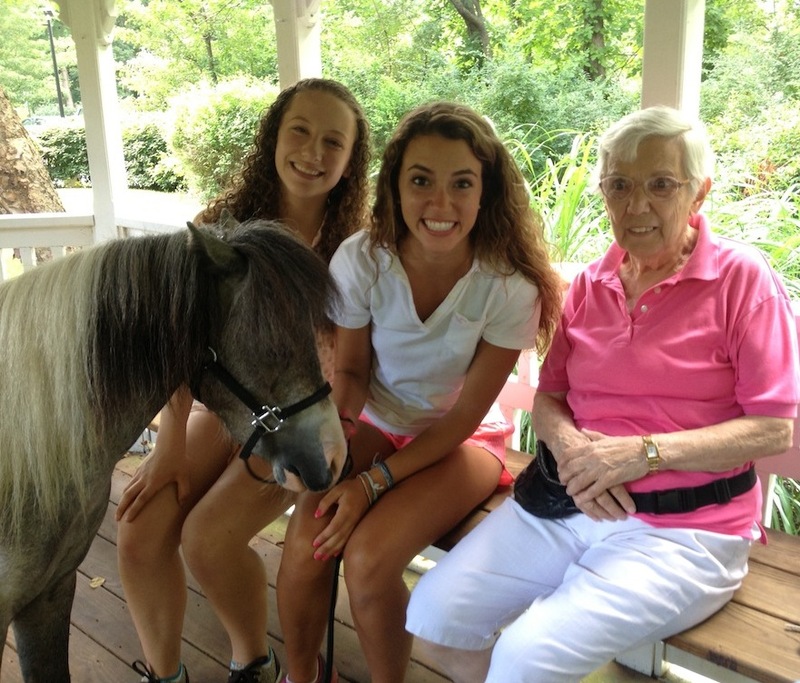 Do you enjoy being around the barn, horses, and students? There is always something to do…and never enough hands to do it. Please contact us at 973.714.8410 or hopespromisefarm@gmail.com. Must be 14 years or older. We always welcome your support to help us continue to grow and nurture our programs. If you are interested in helping serve on one of our fundraising and event planning committees, we would enjoy talking with you. You can reach us at 973.714.8410 or hopespromisefarm@gmail.com.